Video of the final lap, ARCA 200 at Pocono, from the grandstand. The PA system incorrect told the crowd the race had ended the lap previous. Confused the crowd. 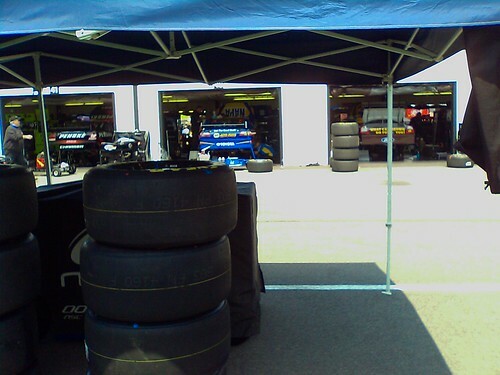 Saturday morning, August 1st was final practice for the Pennsylvania 500. 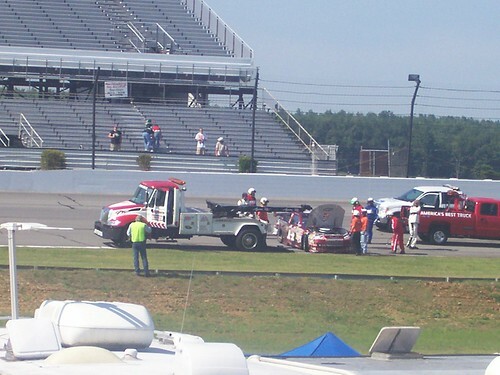 On the first lap and before we had finished breakfast, Tony Stewart hit the wall in turn 3 (where we were). 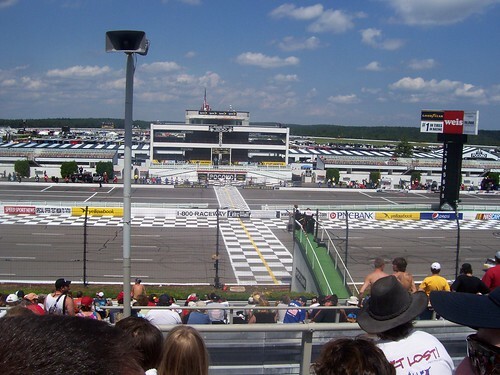 Saturday was also the Pennsylvania ARCA 200 at Pocono Raceway. 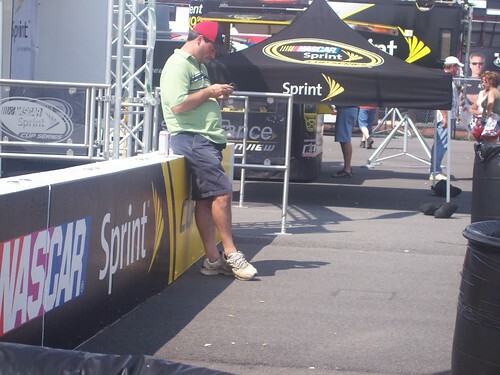 We had infield seats for the weekend, but everybody from the infield was allowed in the pit area, grandstand and fan fair (no cost). I have to thank Sprint Nextel for the free Internet. This allowed me to catch up on my emails and maintaining the Talk-Sports website. It had been raining all weekend and both (ARCA and Sprint) Friday qualifying sessions were cancelled. 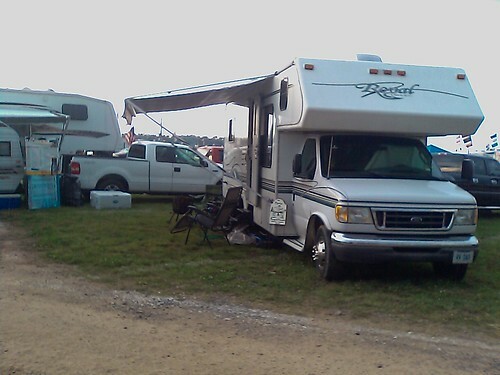 Our own RV site was overwhelmed with water and we moved our RV to occupy the dry spot of two adjacent sites.